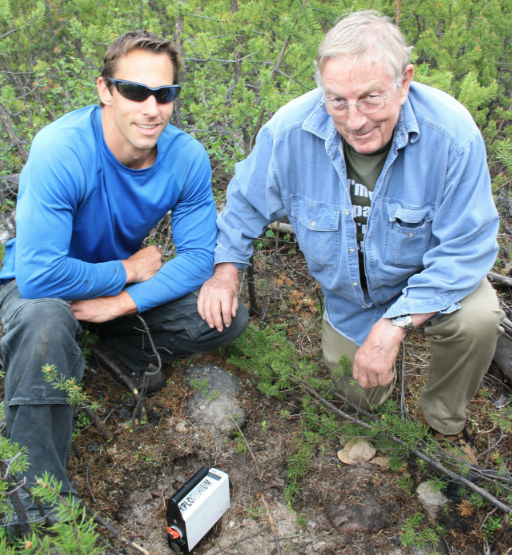 Father and son Ben and Garrett Ainsworth may have lead Alpha Minerals and JV partner Fission Energy to the radioactive mother lode on a new frontier in the Athabasca Region of Northern Saskatchewan. 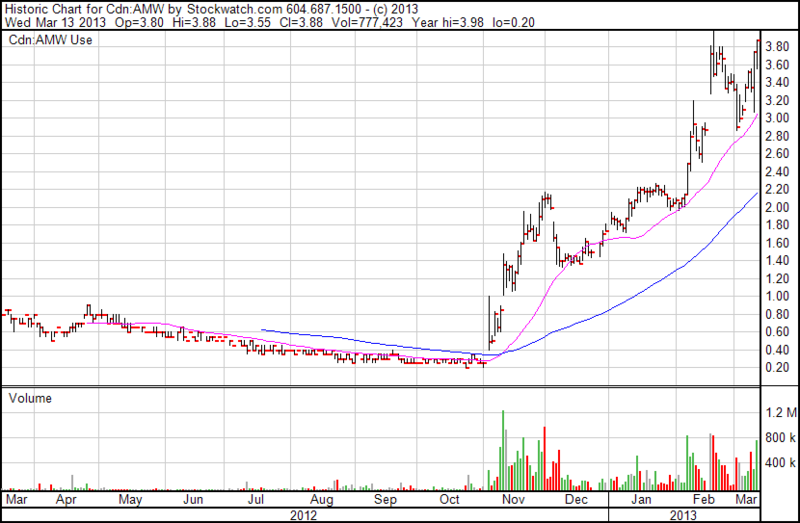 Not long ago, Alpha Minerals, formerly ESO Uranium, was a dog of a stock. 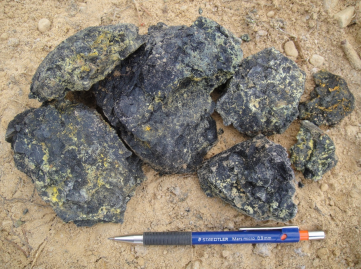 Trading at just $.02 last October, chances of being able to finance for the Southwest-Athabasca-Region focused uranium explorer looked slim. Backed against a wall, management had no choice but to roll back shares 10:1 and change its name in hopes of triggering a fresh start. Then something spectacular happened. Just days after the rollback, Alpha announced Discovery Hole 22 hit anomalous radioactivity over 21 meters. Further exploration holes intersected more mineralization. Today, shares in Alpha are trading over $3.80 — providing an almost 20-fold return to investors in under five months. Good dog. How exactly the discovery happened is one of those crazy stories that’ll take its place in mining legend. Five years ago, current Alpha Minerals CEO Ben Ainsworth was working as VP of Exploration for Hathor Exploration — the last Athabasca-Basin-focused uranium junior to be taken out by a major. Meanwhile, his son Garrett, then 28, was toiling away for ESO. It was just a notation, but it was enough for the younger Ainsworth to head to the Southwestern Athabasca Region to stake the claims that would eventually yield a discovery. At the PDAC conference in Toronto last week, I had the opportunity to have dinner with the elder Ainsworth, Ben, who told me I had to meet his son Garrett to hear how his discovery came to be. I connected with Garrett in Vancouver this past Monday. He told me the amazing tale behind the find. Garrett Ainsworth had found in that old report what he believed to be an exceptional lead to the next great Athabasca uranium discovery. He wanted to pursue it right away, but dry exploration capital markets forced him to sit on his hands for more than two years. 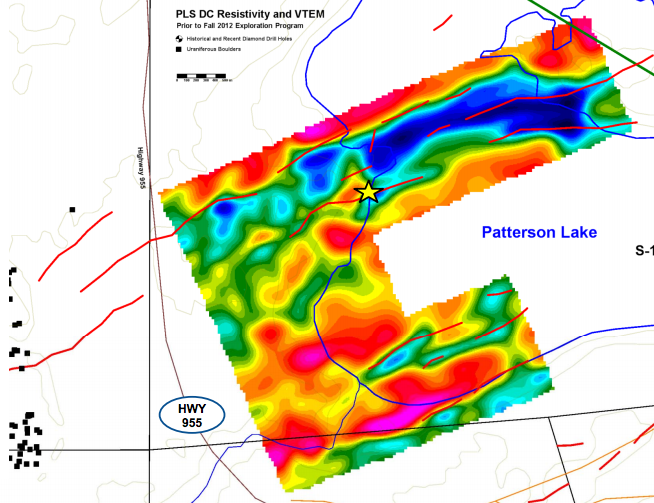 VTEM geophyiscal survey of the PLS claims. Note Discovery Hole 22 marked by the star, and the boulder field to the southwest. The elder Ainsworth loaned the company $550,000, banking on his gut feeling about the project, and his son’s instincts. This bridge financing led to Discovery Hole 22 coming in with over 21 meters of mineralization. And finally, the market responded. Perhaps there were so few believers in Alpha’s story pre-discovery because the project is located several hundred kilometers from the east side of the Athabasca Basin, where most major uranium discoveries have occurred. After Discovery Hole 22, it wasn’t long before comparisons were drawn between Alpha and Hathor Exploration, a 2011 stock we recommended less than a month before Cameco and Rio Tinto engaged in a bidding war for the company. Hathor eventually sold to Rio for $635 million. Although Alpha holds only a 50% interest in the Patterson Lake project, with a market cap today of just over $72 million, it’s not difficult to see the potential upside at Patterson Lake South. In all fairness, it’s probably too early to draw comparisons to Hathor, seeing as Alpha has yet to find the bedrock source of its deposit. While the intersections it has been hitting are of ore grades and width, there’s little certainty about its eventual size and scale. But you can take Mike Gunning’s new role as Alpha’s Chairman and Lead Technical Advisor as one vote of confidence. Gunning, among the most respected figures in Canada’s uranium business, was CEO of Hathor and helped negotiate its eventual sale. Uranium expert Marin Katusa, Chief Energy Analyst at Casey Research, provided another check mark for Alpha. “PLS has all the makings of a major, high-grade, economic uranium discovery in the Athabasca Region. A major grassroots discovery like PLS is very rare,” he told us. Where the Alpha share price will go from here, only time will tell. There’s certainly potential for huge gains, but with the vagaries of the market, future dilution, and project consolidation uncertainties, how it will all pan out is still very much in the air. One thing’s for sure: the PLS discovery was no miracle. It was the result of a methodical, well-executed exploration program. The elder Ainsworth, who played a key role in both Hathor’s and Alpha’s success, will no doubt go down as one of mining’s greats. As for his son Ben, he’s just getting started. For more on this story, check out Alpha’s website. As of this writing, the author has no position in any of the stocks mentioned in this column. This is subject to change in the future. All information presented is believed to be reliable at the time of publishing. Nothing in this article should be construed as advice or a solicitation to trade any securities.